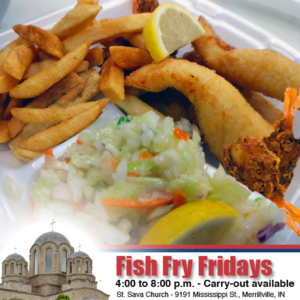 The legendary Fish Frys continue and we invite you to join us for our “Friday Fish Frys” at St. Sava Serbian Orthodox Church in Merrillville, Indiana throughout the Orthodox Lenten season. Everyone is welcome to join us for a delicious meal! Carry-out is also available! 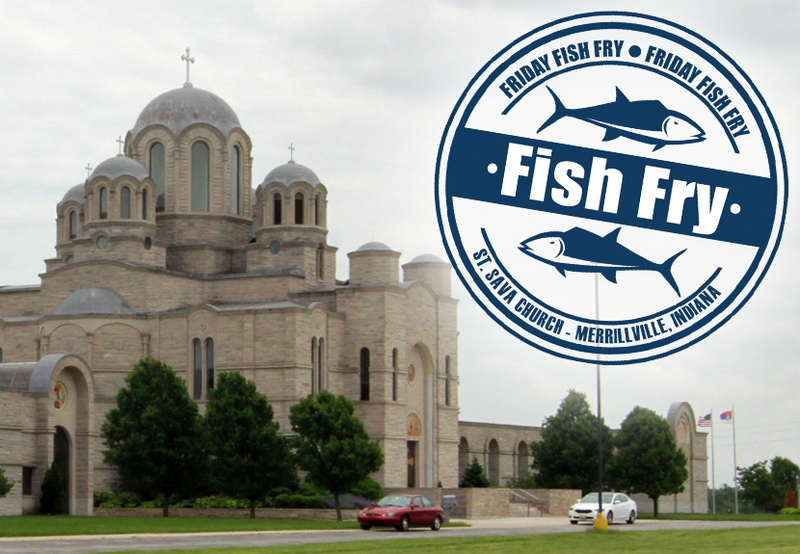 The Friday Fish Frys will take every Friday evening through April 7 from 4:00 to 8:00 p.m. in the Pavilion at St. Sava Church 9191 Mississippi Street, Merrillville, Indiana. 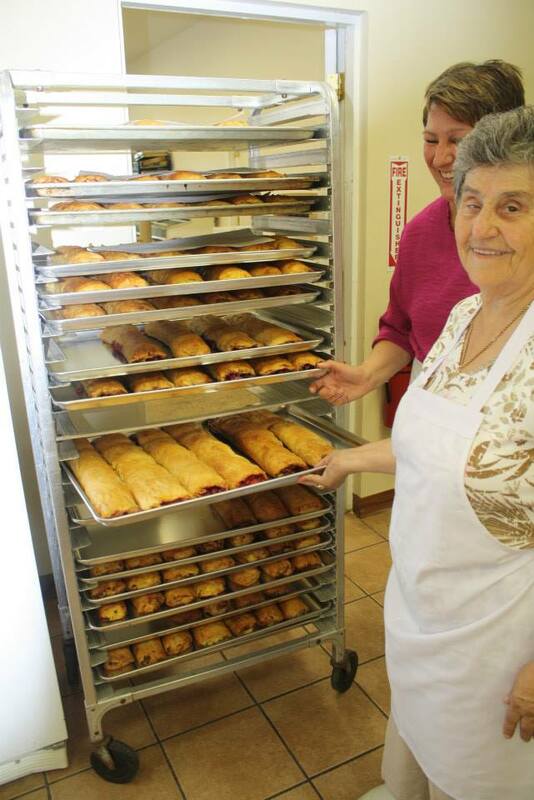 Friday Fish Frys will take place throughout the Orthodox Lenten season. These dinners are open to the general public every Friday throughout Great Lent until the Friday before Good Friday.